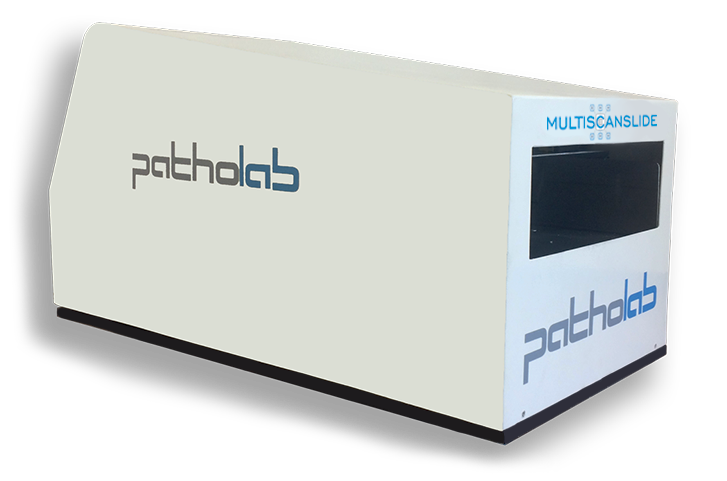 Multi Scan Slide is an automated system for reading the identification code of histological slides, their traceability and archiving. Identification code of the slides is read by means of a robotic optical sensor simultaneously with identification code of the tray, creating a unique correspondence of slides to tray, guarantying secure and immediate level of traceability. Tray capacity is up to 720 slides arranged vertically. At the end of every scanning process, all collected information is stored in a database. 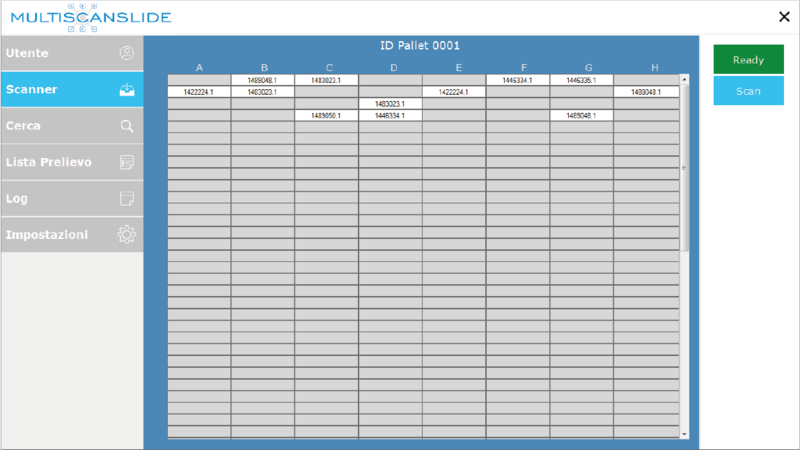 Screen allow you to view the position of slides arranged inside the tray, highlighting in each box the identification code of corresponding read slide. If system does not detect the cassette in a determined position it indicates a box with gray colour. Any other anomalies while reading system reports marking the box in red colour. By entering identification code of a slide in the Search window, software provides the position and the number of the tray where the slide is stored. For higher safety and traceability of the slides during handling, it is possible to use the Picking List window, which allows registering in a list all the operations of loading and unloading of the slides from the archive.